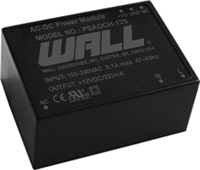 The PSAOCH series of AC/DC switching power supplies provides up to 4 watts of output power in a 1.46” x 1.08” x 0.69” encapsulated PCB mountable package. 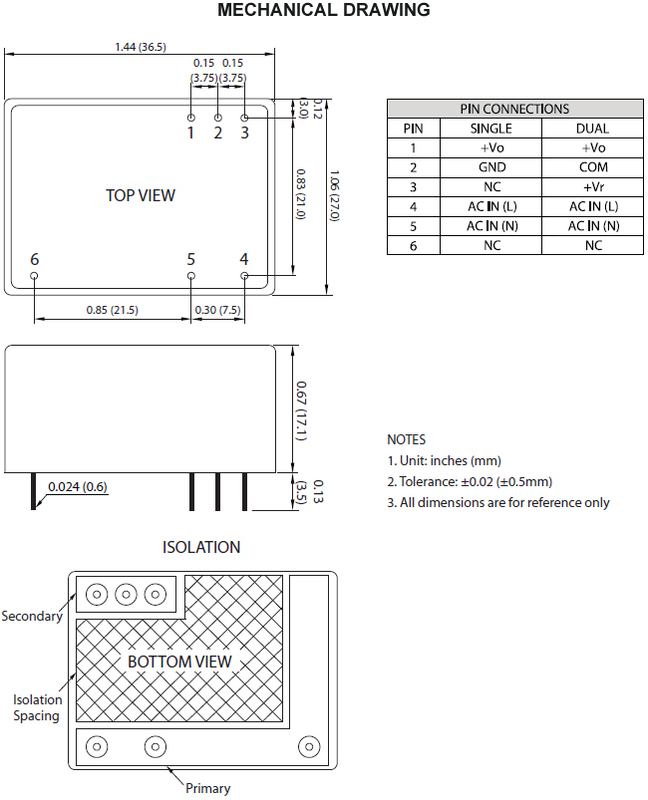 This series consists of single and dual output models with a universal input range of 90-305VAC (120-430VDC). Some features include low ripple and noise, -40°C to +80°C operating temperature range, as well as over power and short circuit protection. All models have CE safety approvals and UL approval is available if needed. Notes: 1. Dual output models require a minimum loading on the output to maintain specified regulations. Operation under no-load conditions will not damage these devices; however, they may not meet all listed specifications. 2. Ripple & Noise is measured 20MHz limited bandwidth and with 0.1µF and 47µF capacitors in parallel across the output.